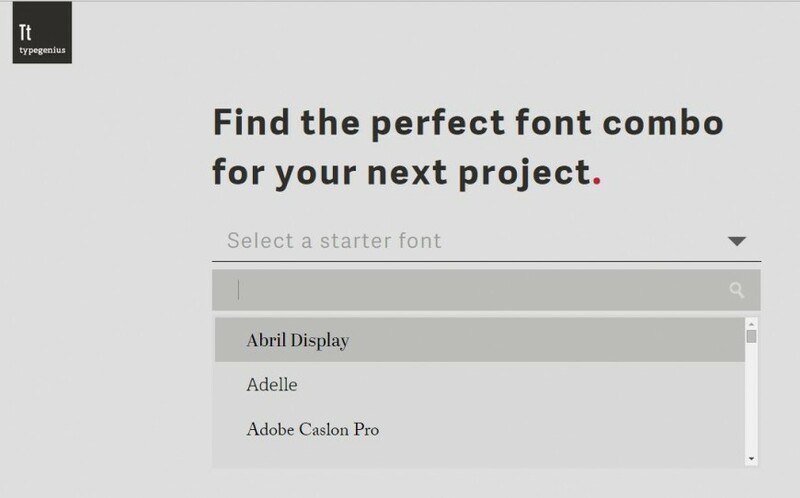 There are many factors to consider in choosing the right font for a project. Does it look good? Will it appeal to your audience? Will it go well with the tone? Is it readable? Sometimes, finding the right font combinations is twice as hard as finding the right font for a project. If you’re stuck with pairing a local serif and sans serif font, why not try Type Genius? 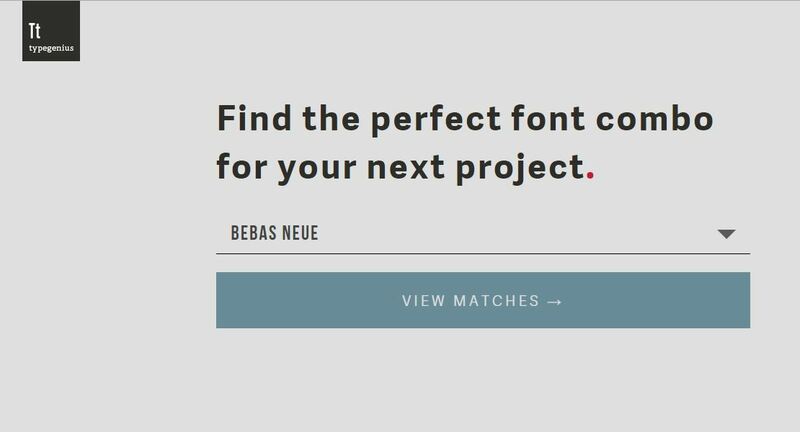 Type Genius is an online tool that helps you find the perfect font combinations with only three clicks. Just follow these simple steps and you’re on your way to becoming a type genius in no time. First, choose a starter font from a long list of Google web fonts. The web interface is very clean and simple. 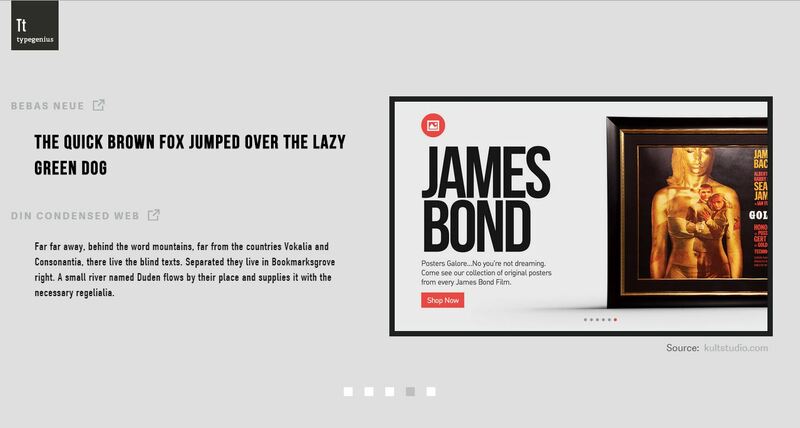 You’ll find a drop-down list of many classy and corporate typefaces like Brandon Grotesque and Futura PT, as well as casual and fun typefaces such as Quicksand and Museo Slab. Let’s try a sans serif favorite, Bebas Neue. On the next page, you’ll find the possible font combinations using the starter font we used. With Bebas Neue as a sample, 5 matches showed up. The starter font is used as the headline and the suggested partner fonts are shown in separate pages with text samples. The best thing about this online tool is shows screenshots of up and running websites which make use of the font combinations the site suggests. Do you know what fonts we should avoid using? Read this article to know which ones can hurt your brand.